Home / Our People / Faculty / Radio, Television, and Digital Media / Cinzia Padovani Ph.D.
Cinzia Padovani is Associate Professor with Tenure in the Department of Radio Television and Digital Media, at Southern Illinois University Carbondale, U.S.A. She holds an MA in Education (1989, University of L’Aquila Italy) and a PhD in Media Studies (1999, University of Colorado Boulder). Her research focuses on the relationship between media and power, and the role that media play in the formation of the public sphere in contemporary societies. In the earlier part of her career, Dr. Padovani has published extensively on issues related to public service media. Since the late 2000s, she has been researching less bureaucratized channels of communication and, in particular, ultra-right social movements and their use of the media. 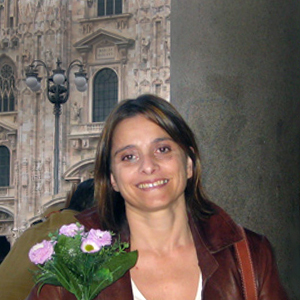 In her research, Cinzia draws on a range of qualitative approaches and methods, including historical and archival research, observations and in-depth interviews, and critical discourse analysis. She is the author of A Fatal Attraction: Public television and politics in Italy (Lanham, MD, Rowman & Littlefield, 2005; translated into Italian by Asterios Editore, Trieste); articles in professional journals, including The Journal of Language and Politics, Discourse & Communication, Javnost/The Public, The International Journal of Media and Cultural Politics, The International Journal of Communication, Television and New Media, the leading Italian journal Problemi dell’Informazione and the Hungarian Médiakutató (with Michael Tracey and Katalin Lustyik); in addition to book chapters on topics such as social movement media and protest mobilization, media pluralism and media policies. Dr. Padovani is currently working on a book-length manuscript on contemporary ultra-right media and communication. Ultra-right media, Media policies, critical discourse studies, social theories, public service media, Italian and European media.